Very cool! I wish I'd known - we're always up for trips to the beach. That is so awesome!! 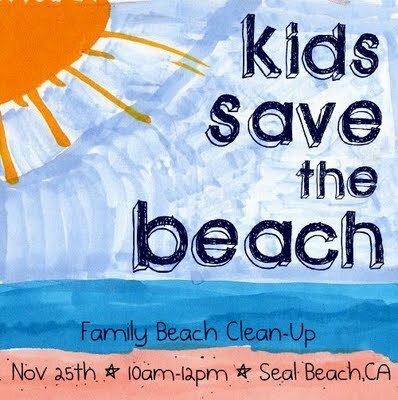 What a lovely way to spend a day with the kids, helping clean up the environment and getting to enjoy a nice dip in the ocean!! The sand looks SO soft....I miss the ocean! Thanks for sharing -- we weren't able to attend but really wanted to! Looks like a great experience! What a great way to get kids outdoors and involved in the community at the same time. Wonderful post!